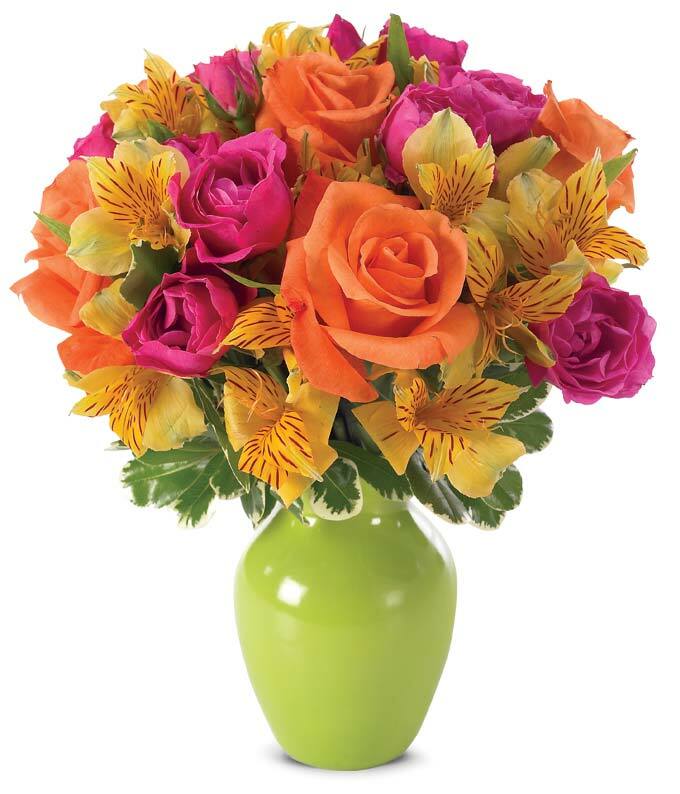 This striking bouquet of pink and orange roses with yellow alstroemeria in a green bud vase will leave her beaming with joy. This Summer colorful bouquet pops with orange roses and other brightly colored floral stems perfect for celebratory occasions. Measures 12"H by 10"L.